This project will never be finished. Its simple ambition is to re/construct that which has never been seen before. 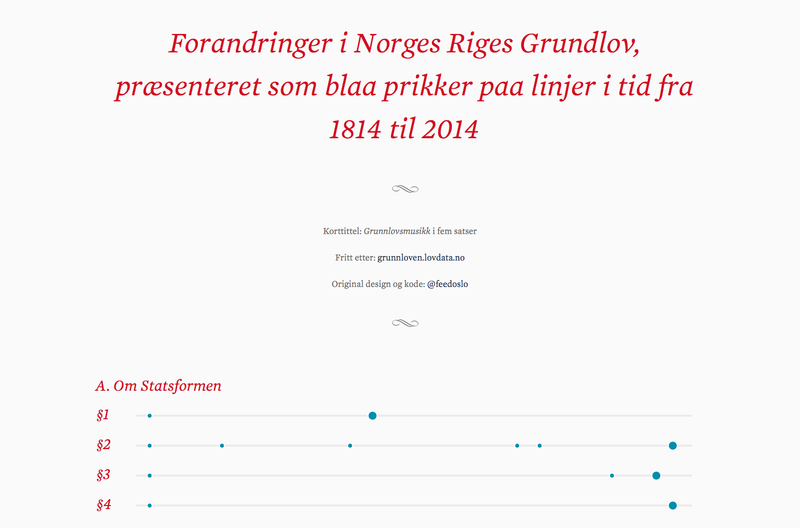 This is silly but I couldn't resist the urge to visualise the changes to the Norwegian Constitution over the last 200 years. 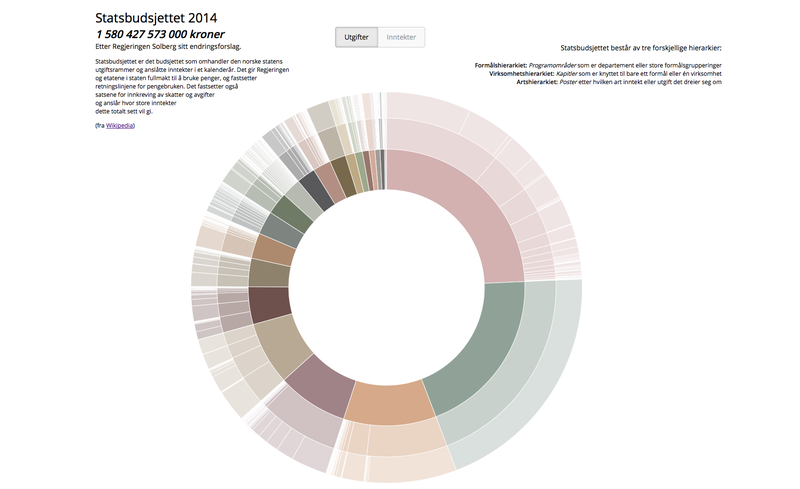 This is an interactive sunburst chart that allows you to explore the allocations in the Norwegian Government budget of 2014. This is an interactive bubble chart that allows you to explore the prevalence in the party political programmes in the 2013 Norwegian General election. 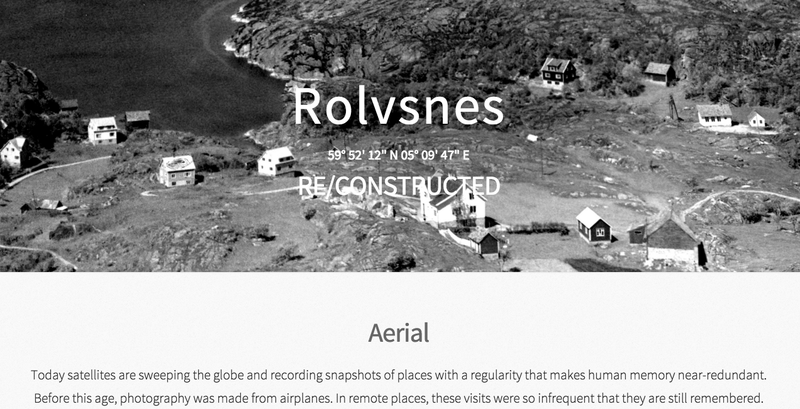 This is an exploration of the fortunes of the Norwegian Krone since the introduction of the Euro. 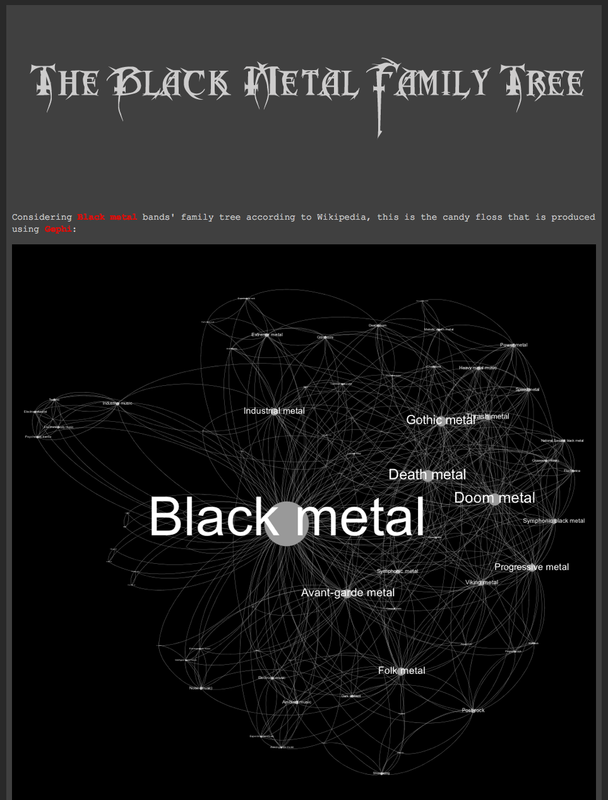 This is a visual exploration of the genealogy of Black Metal through the network of music genres. This is an essay exploring the trade of privacy for security. This is an essay looking at the European security-industrial complex, its funding and surveillance initiatives. This is an essay exploring Foucault, Chomsky and Habermas' ideas around Human Nature.